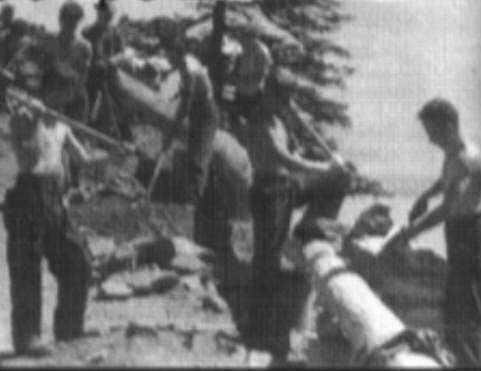 � �Many CCC Camps worked on many projects in Washington State Parks. Some State Parks were built entirely by these CCC men. 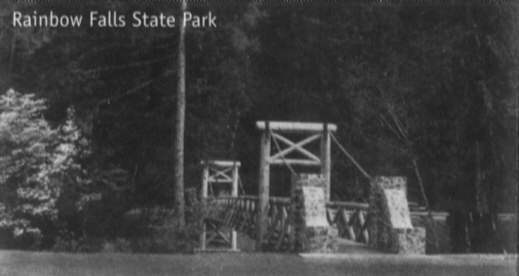 They built picnic areas, campgrounds, kitchen shelters, bathrooms, caretakers homes, observation towers and forged miles of roads to the parks and within the parks themselves more miles of trails as well as necessary bridges and protective railings. � �In these works. they not only provided for the conservation and enjoyment of future generations, they also generated needed income for their families in hard times and learned important skills. Not only did they learn work related skills such as log and stone construction, but also and more importantly discipline and self respect. Education was also provided where men could earn credit towards degrees and even more work skills for future use. All was not work, of course, as men must also play, so they were able to enjoy cards, sports, and other recreations in camp while on the weekends they could explore the countryside and the local community. � �The work of the Washington CCC men was highly praised. 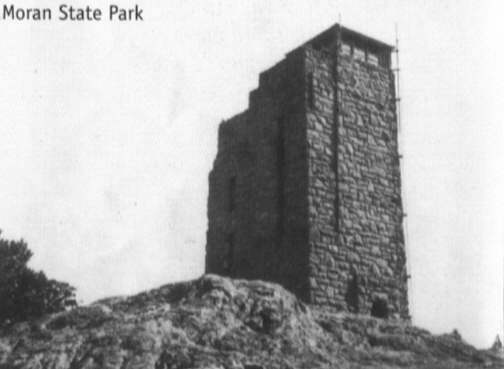 In 1935 the National Park Service Regional Director, a Mr. Merriam, told the State Park Superintendent W. G. Weigle that he was wonderfully pleased with the work done. He estimated that it exceeded more than twice the combined state park work then completed in all of Oregon, California, Idaho, Nevada and Arizona combined. Two years later the Governor of Washington, Clarence Martin, passed to the men his appreciation upon the works of the young CCC men who had performed very helpful work in the state parks in Washington. � �Nationally the State Park system, which was just beginning, received much momentum from the CCC work. The Washington State CCCers helped the young state park system there emerge fully developed to meet the needs of a growing population. 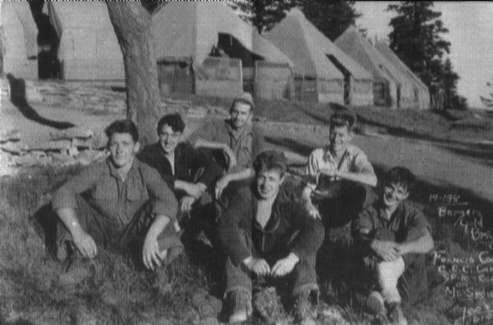 � �Many of the facilities made by the CCC men remain in use in Washington State Park. 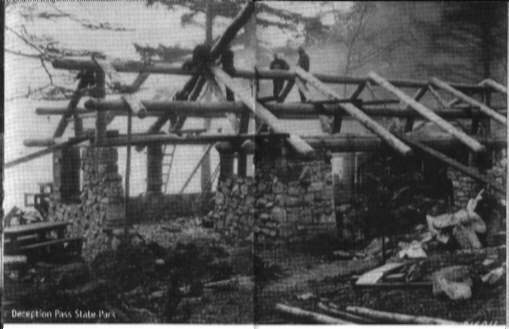 The CCC men created most of the structures in still in use in eleven camps, Moran, Mt. Spokane Riverside, Gingko, Lewis & Clark, Rainbow Falls, Beacon Rock, Twanoh, Saltwater and Deception Pass. � �The CCC men in Washington as in other states, still give their time to maintain the State Parks, volunteering to help as they are still able. In Deception Pass State Park, a CCC Interpretive Center was created by a Washington CCC alumni and his wife, Vic and Mae Olsen. That CCC museum was the first of its kind and remains a project of the CCC alumni association they founded and the State Park System. Dedicated to preserving the words, photographs and memorabilia of the CCC enrollees and staff, the Center is open during the summer and at other times by appointment. It may be reached by telephone at 360-675-2417 or by the Telephone Device for the Deaf at 360-428-1028.